The Irish Wildlife Trust in conjunction with MISE (Mammals in a sustainable environment) are hosting a training day and walk to spot otters on Sunday December 11th. The meeting point is at the carpark at the Waterford Island Castle Ferry at Ballynakill which is about 2 miles from the city centre. Follow the Dunmore Road past the Hospital. The third main turnoff on the left, past the hospital is signposted for Waterford Castle. Follow this sign. 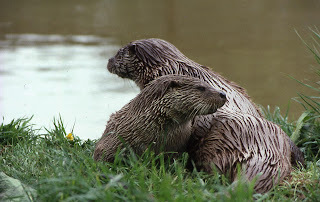 The meeting time is 11 a.m. Members of the general public who would like to know more about otters and otter surveying are very welcome on this walk which will last about 2 hours. Reservations are necessary. Please call Ray at 051-382629 before Saturday December 10th. Please bring your wellingtons and waterproofs.